Every now and again we take a Time Out to totally indulge in our passion. And just like fifteen years ago – what fuels our lust for life is travel and photography. Digital photography has made travel photography more fun! Since we started out producing travel articles for the Norwegian press some ten years ago, our family has seen the beautiful addition of two little ones. Travelling with kids in tow is a totally beautiful experience, and something we encourage on our blog. However, if we are painfully honest, travelling with the kids also means reduced time to grab the camera and take off whenever we feel like it. That’s why we spice up our travel agenda with solo trips here, there and everywhere once in a while. This time it was Spencer’s turn to pack his baby (the Nikon), his boots and his sun screen and head off to awe inspiring Rajasthan, by far Mother India’s most colourful corner. 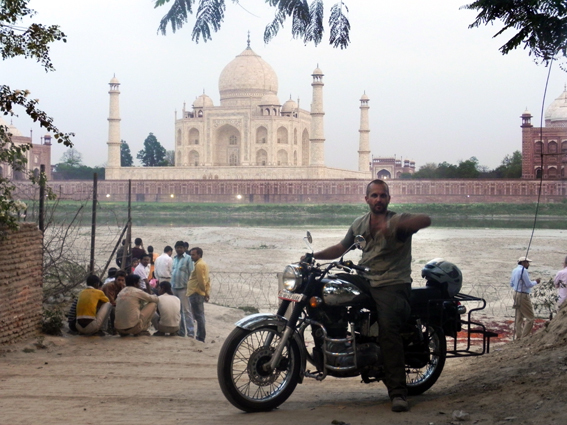 He took off with a friend, and they hired two classic Royal Enfields with Bike Escape Motorcycle Journeys.